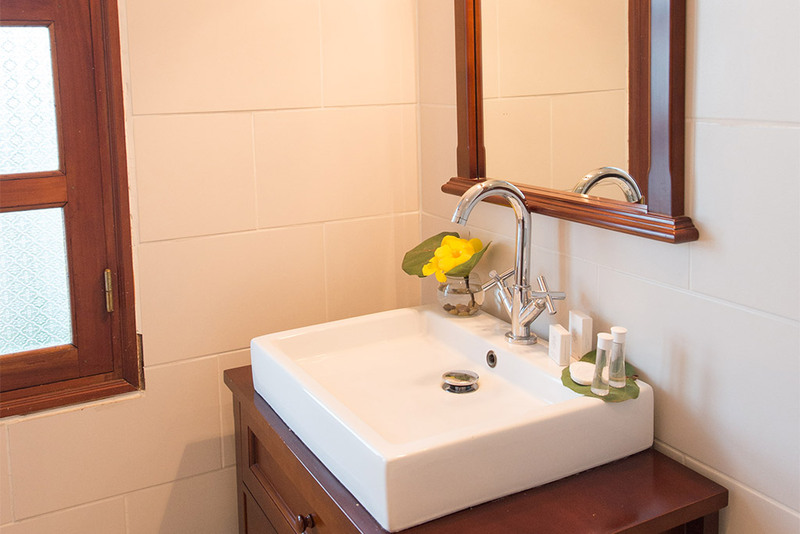 Our eight superior rooms are the most elegant and spacious. 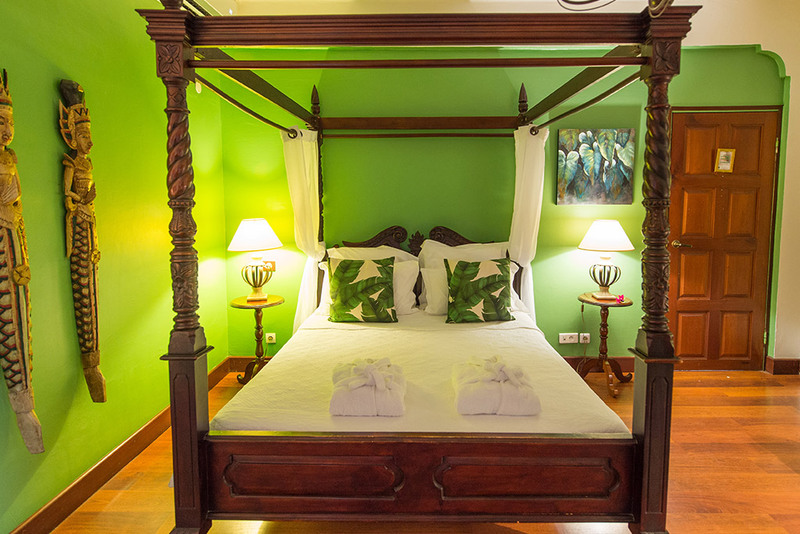 All different, they have been decorated with collectible mahogany furniture and reflect the lifestyle of Martinique. 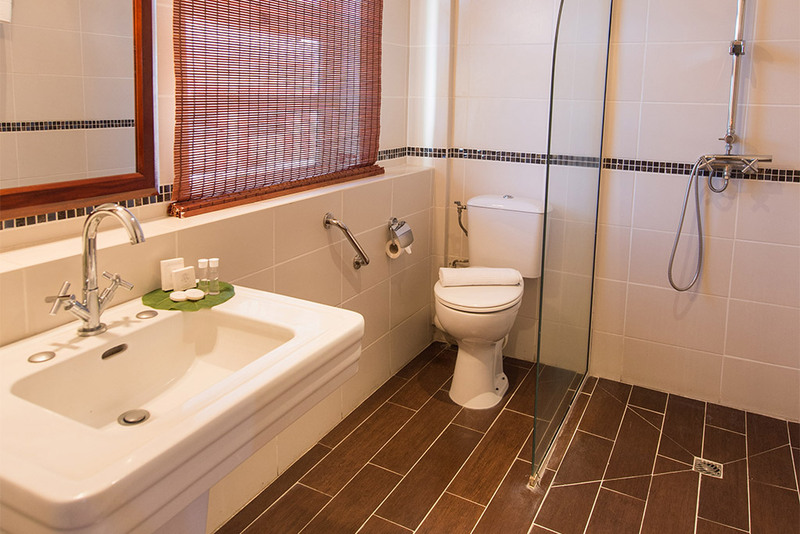 The superior rooms are extended by spacious bathrooms with baths for some. 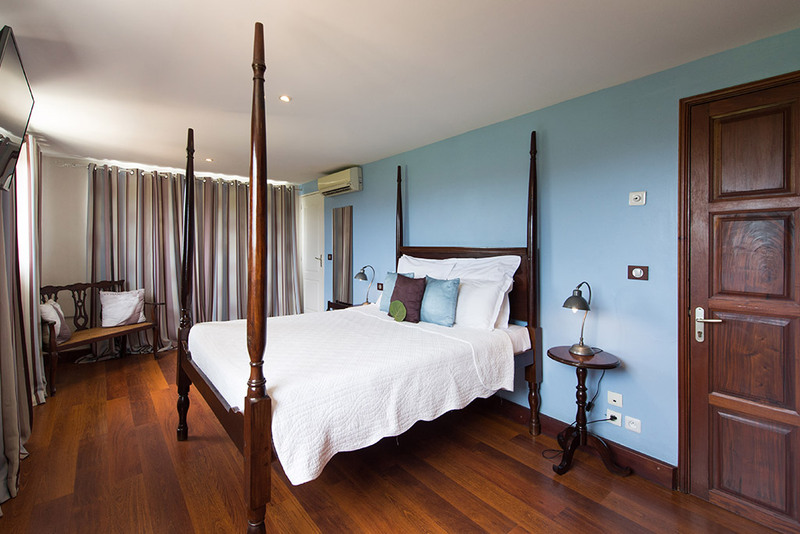 Most of our superior rooms have a flowered terrace and arranged, relaxing place to rest and admire the beautiful Savannah Park, Fort St. Louis and the Bay of Flamands. 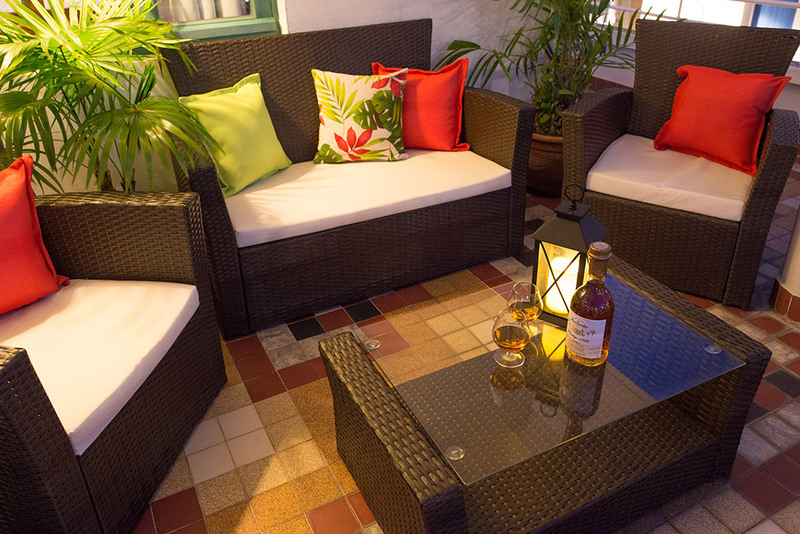 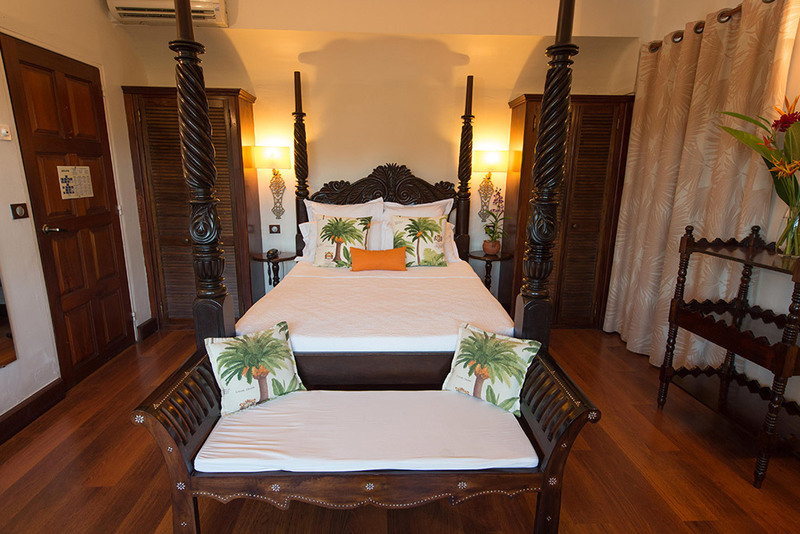 Rooms 22 and 32 furnished in pure Creole style have a furnished garden terrace. 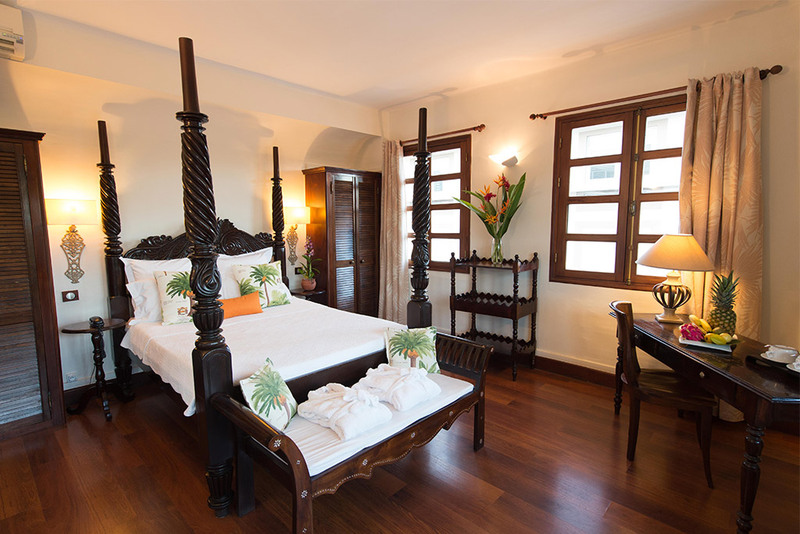 Room 11 is handicapped accessible and rooms 53 and 52 on the 5th floor have breathtaking 180 ° views (without terrace).